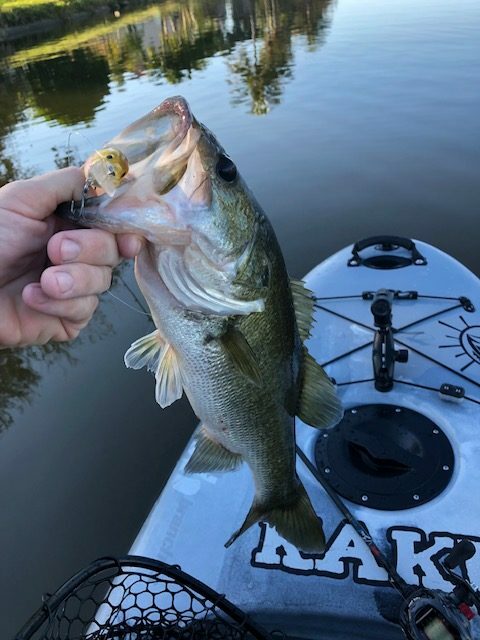 Bill Sikora of Florida Bass Paddlers recently took to testing some new bass jigs and lures and fell in love with Skinny Bear. 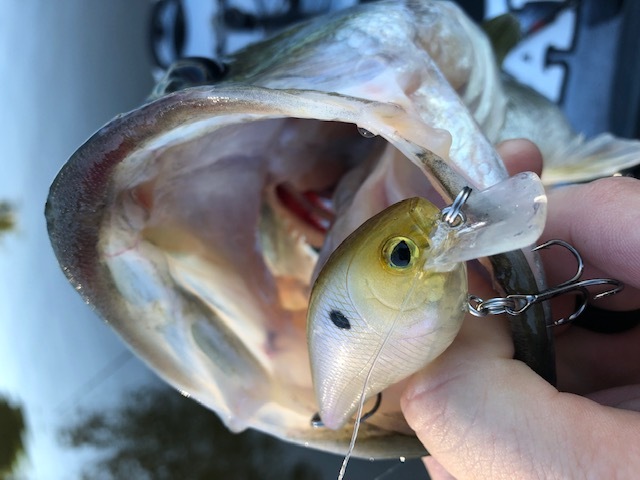 Below Bill shares his thoughts on these bass jigs and lures for us. Let’s face it. 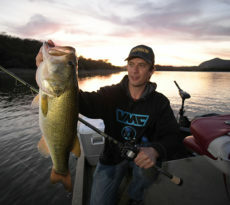 We are anglers, and as anglers, we love trying new “stuff”. Apparel, rods, reels, lures…we’ll try it all. The idea behind that mentality is that just maybe, we’ll discover something really cool. Well I had that happen recently, and I wanted to share that experience with Yak Outlaws. I will be the first to admit that I have no aspirations of being a full time angler. I know that I will never have a million subscribers on YouTube, nor will I have thousands of followers on Instagram. That is OK. I am a recreational angler who just loves to fish when he can, and the social media aspect of it is just another part of this hobby I love. Now that long ago, a company by the name of Skinny Bear Bass Jigs started following me on Instagram. Now, I am a sucker for cool logos, so I decided to give them a look. Skinny Bear Bass Jigs was founded in 1985 on the West Coast of California. 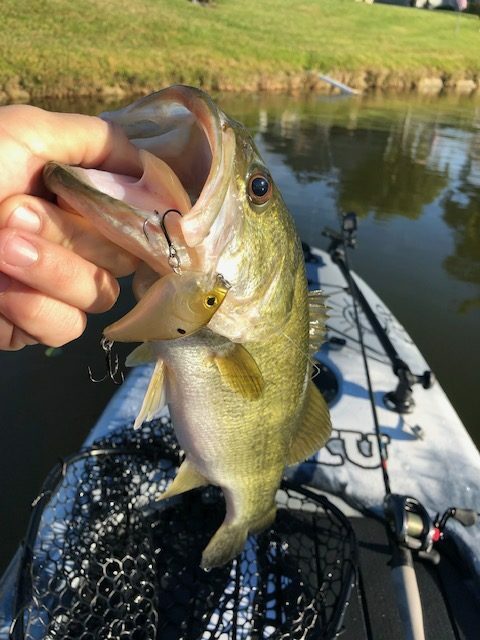 They carry a variety of bass fishing lures including Jigs, Soft Plastics, Terminal Tackle, Spinnerbaits, and Hardbaits. While cruising their website, their Crankbaits really caught my eye. I decided to place an order for a few and I eagerly awaited my package to arrive. After I had received my first order, I couldn’t wait to get my new baits on the water. 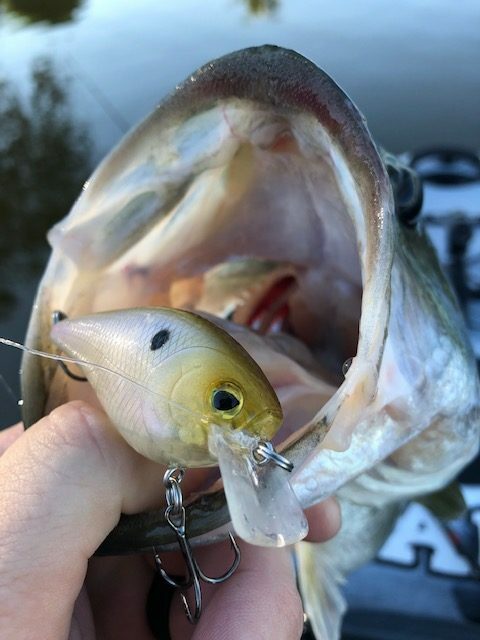 The first bait I tied on was the Squarebill Crank 2.38″ in the color “Ghost Shad”. This bait has a great profile and the color really mimics that of some of the smaller bait fish in the local waters. 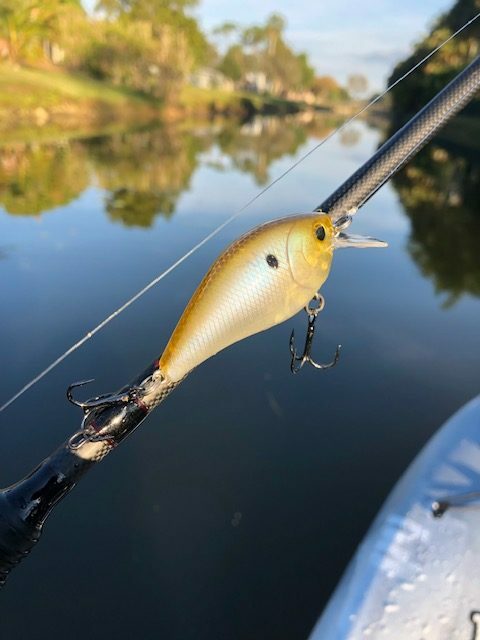 When I took these baits out, there was a slew of cold fronts that we had been experiencing here in South Florida so fishing a square billed crankbait along the rocky bottoms and drop offs was just the technique needed to get the fish holding a little deeper to bite! As I had previously mentioned, I really liked the profile of this little bait. 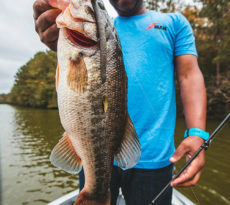 It has a very tight wiggle when retrieved, and the internal sound chamber really gives this bait that extra little something to helped call in nearby fish. As far as the gear I was using, I tied this bait on to a 7′ medium action Falcon BuCoo SR casting rod with a moderate taper. 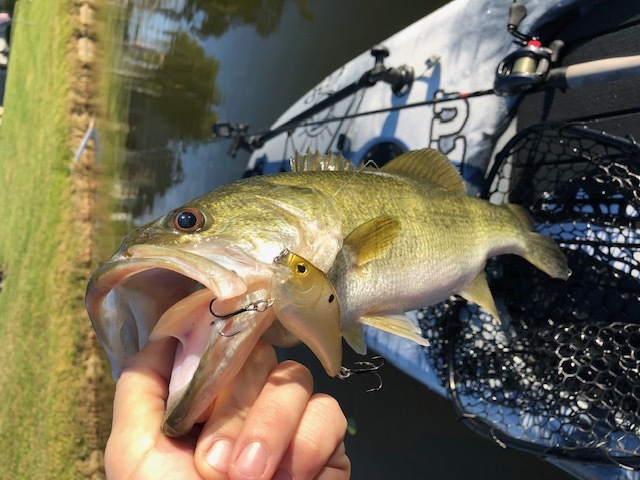 The lighter action of this rod really helps cast smaller baits, and the moderate taper puts just the right amount of pressure on the fish without worrying too much about the hooks tearing up the fish’s mouth which in turn helps minimize fish “throwing” the lure. I paired this rod with a Daiwa Tatula CT with a 5.5:1 gear ratio…I love this speed for working crankbaits or spinnerbaits along bottoms just over structure. 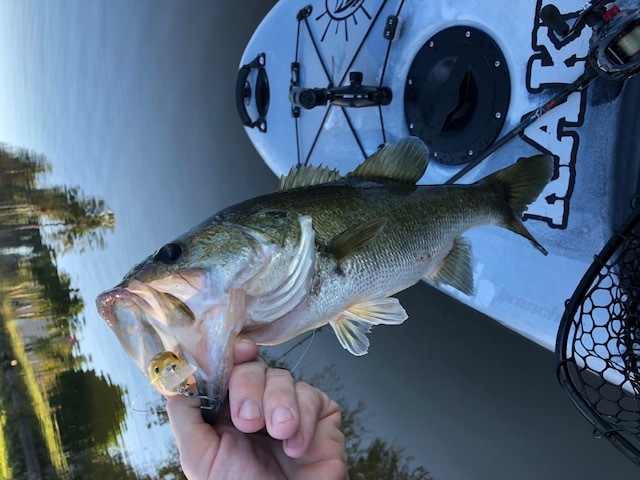 This little bait on it’s first day out put 14 Bass in the kayak, and despite the smaller sized treble hooks on this bait, it held the fish on just fine. Day two was just like the first, a very successful day despite colder than normal conditions. 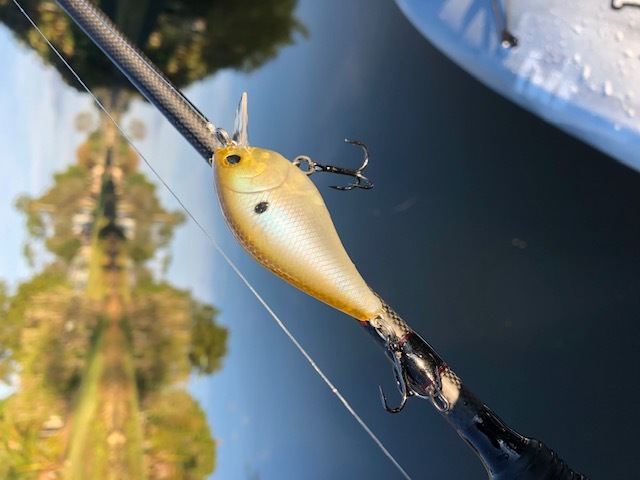 Squarebill crankbaits have always been a staple in tackle boxes throughout the country, and granted we do not get even close to the colder temperatures that our brethren up North get, we do have those few occasions where our temps get pretty low here in South Florida and this squarebill did the job beautifully! I can honestly say that I am more than impressed with how well the Squarebill 2.38 works and I am already looking forward to using the other models that Skinny Bear Bass Jigs has to offer. 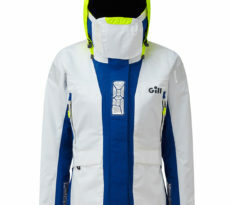 For more information, please visit them at www.skinnybearbassjigs.com. 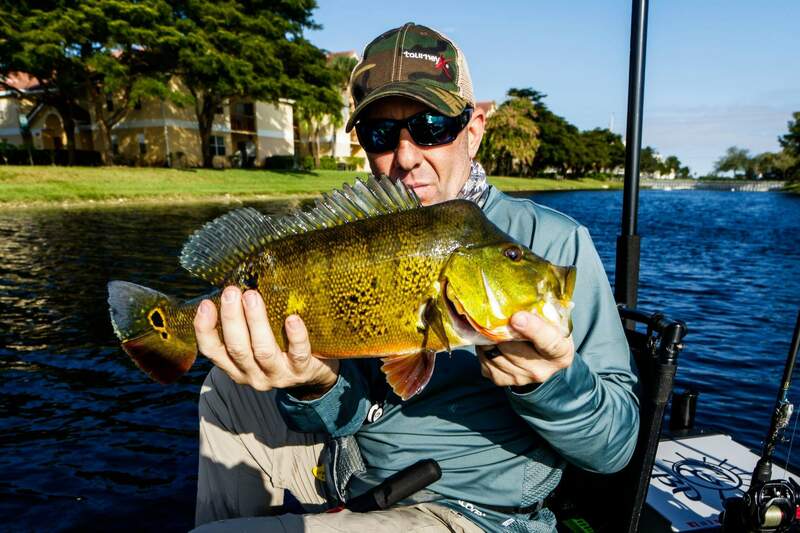 Bill Sikora is a avid SUP angler and is currently a member of Kaku Kayaks Team Member, Fishing Online ProStaff, RedLine Lures ProStaff, Vicious Fishing Team, and Anglr Expert team.